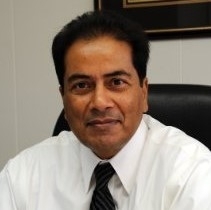 Spirit Electronics is pleased to announce that Zef Malik has joined their team as Vice President of Strategic Business Development. Phoenix, AZ, November 02, 2017 --(PR.com)-- Mr. Malik is a semiconductor industry veteran with more than 40 years of experience in a broad range of industry sectors, including IC Manufacturing, Device Characterization, and Test and Product Qualification. He was a founder of ICE/IQL Labs as well as Silicon Turnkey Solutions, (STS) and is a respected leader in the military deep space programs and high reliability semiconductor market. Marti McCurdy, Spirit Electronics CEO, said, "Zef's wealth of experience and industry knowledge will bring increased energy to ongoing efforts to expand our business offerings and market presence." Spirit Electronics is a Women Owned, Veteran Owned Small Business serving the DOD and Aerospace industries with a range of electronic components from leading suppliers of FPGA's, ASIC's passives and discrete semiconductor components relays, frequency controls, and connectors. Spirit specifically provides value-added services, including Testing, Design, Assembly, Qualification and End of Life Management. Our services provide Supplier Managed Inventory (SMI) for in-company stores for our large prime contractors. Many of the customers we serve have deeply integrated Spirit into their planning, processes and manufacturing. They count on us to plan, procure and warehouse inventory, and execute delivery of components that are prepped and ready for assembly upon arrival. Spirit's extensive ERP system provides us with the bandwidth to manage millions of line items simultaneously, ensuring quality and successful delivery to our customers. Spirit Electronics is located in Phoenix, AZ with sales offices in Irvine and San Jose, CA.